WASHINGTON — The top Democrats on the House and Senate intelligence and judiciary committees have asked the F.B.I. to open investigations into the activities of a Chinese-American woman suspected of trying to sell access to President Trump and his administration. In a letter to the directors of national intelligence, the F.B.I. and the Secret Service, the Democrats said that recent public reports about the woman, Cindy Yang, raised “serious counterintelligence concerns” about access by foreigners to Mr. Trump’s Florida estate, Mar-a-Lago, as well as criminal concerns about possible human trafficking and campaign finance violations. They also asked for access to any information already gathered by the agencies about the extent of Ms. Yang’s contacts with Trump administration officials, security procedures around Mar-a-Lago and whether Ms. Yang or her clients had violated any lobbying laws. “Although Ms. Yang’s activities may only be those of an unscrupulous actor allegedly selling access to politicians for profit, her activities also could permit adversary governments or their agents access to these same politicians to acquire potential material for blackmail or other even more nefarious purposes,” the Democrats wrote in the letter, dated March 15. The letter to the intelligence officials was signed by Senators Mark Warner of Virginia and Dianne Feinstein of California, the top-ranking Democrats on the Senate Intelligence and Judiciary committees; and Representatives Adam B. Schiff of California and Jerrold Nadler of New York, the chairmen of the House Intelligence and Judiciary committees. An aide to Mr. Warner shared the letter with The New York Times on Monday. Ms. Yang, 45, first attracted attention in recent weeks as the former owner of a Florida massage parlor where Robert Kraft, the owner of the New England Patriots, was arrested in a prostitution and human trafficking sting last month. Ms. Yang was not charged by the authorities in that case, but her other businesses have since drawn scrutiny. The Times reported on Sunday that Ms. Yang, who has raised money for Republicans in the past, had also given or raised more than $50,000 for a Republican National Committee event last year to have her picture taken with Mr. Trump at an event at Mar-a-Lago. The photo was later posted on her company’s website. The contributions that she bundled for the event included several unusual donations, including $5,400 checks from a 25-year-old woman who gives facials at a beauty school and a woman who said she worked as a receptionist at a massage parlor owned by Ms. Yang’s husband. The receptionist told The Times that Ms. Yang had helped her fill out the check, but said she did not want to say whether Ms. Yang had reimbursed her for the donation. It is illegal to reimburse someone for a political contribution. Ms. Yang, a Chinese immigrant, has also participated in groups tied to the Chinese government and Communist Party. For example, in 2016 she joined the Florida Association for China Unification, a group promoting the return of Taiwan to mainland Chinese control that is part of a global network overseen by the Chinese Communist Party’s United Front Work Department to help promote the government’s policies. She also joined a Florida chapter of the China Association for Science and Technology, a group affiliated with the Chinese Ministry of Science and Technology. 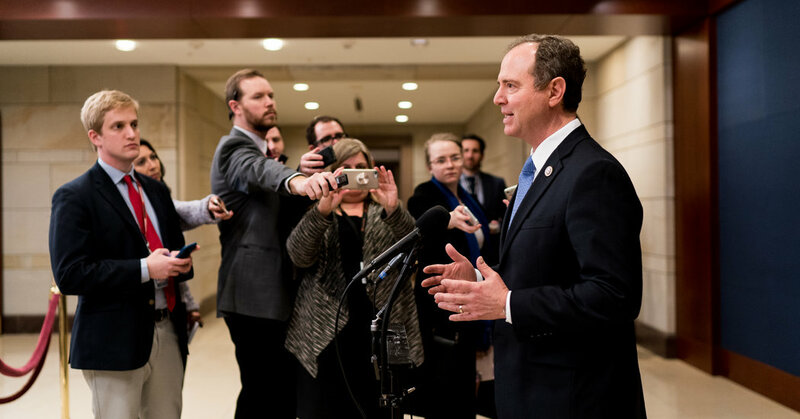 The letter comes as Democrats in the House have begun sketching out expansive investigations into potential foreign influence operations targeting Mr. Trump and his associates. Scarecrow in Seattle Might Be the Last Great Video Store. Can It Survive?